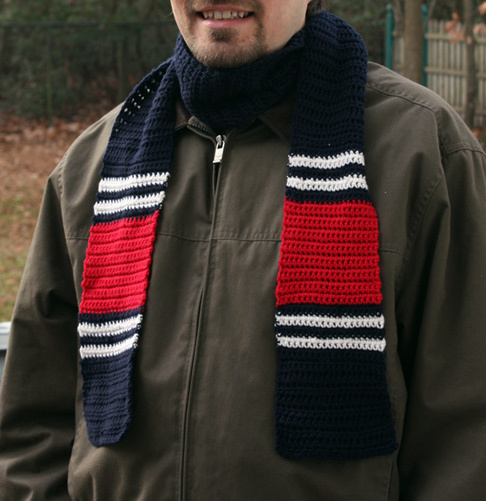 A quick and easy pattern that shows your team spirit! Pick your team colors and use simple stitches to create a varsity stripe that works for men or women, kids or adults. You can even add a team patch to the wide stripe. Pattern will work with DK, worsted, or even aran weight yarn. The pattern is easily customized to the length and width you want.